In a bid to further promote the National Premier Leagues NSW’s top tier competition has come the news that two live stream matches will take shape, kick starting on Saturday 10th of March via Facebook Live with the 2017 Grand Final replay with Manly United taking on the APIA Leichhardt Tigers at Cromer Park. After experiencing a fantastic inaugural season of live streaming NPL NSW Men’s figures in 2017, Football NSW will this year focus on both a Saturday and Sunday match to stream with commentary in a bid to boost the competition to not only followers of the league in NSW, but to the rest of the country as well as observers from around the globe. Football NSW’s opening live stream will feature the 2017 NPL NSW Men’s Grand Final replay as Paul Dee’s men lock horns with the gritty APIA Leichhardt Tigers while on Sunday 11th of March, our cameras will travel South to WIN Stadium where the Wollongong Wolves will entertain Blacktown City FC. 2018 will see a number of exciting players take part in what will be a must see competition with the likes of stars such as former Western Sydney Wanderer Matteo Poljak running around with the Marconi Stallions, ex-Newcastle Jets and Australian youth international Devante Clut donning the Blacktown City kit as well as former J-League and now Wollongong Wolves star Takuya Nozawa further boosting NSW’s top tier player standards. Add these names in the mix along with a host of other household NPL NSW Men’s stars such as Sydney United 58’s Panni Nikas, Blacktown City FC’s Mitchell Mallia, Manly United’s Dylan Mitchell, APIA Leichhardt Tigers’ Franco Parisi, Sydney Olympic’s Max Burgess, Rockdale City Suns’ Alec Urosevski, Sutherland Sharks’ Jacob Tratt and Bonnyrigg White Eagles’ Ray Miller to name a few, the 2018 NPL NSW Men’s season will be full of action and drama as 12 clubs go in search for clinching the coveted Premiership and Championship. Commentators such as Adam Santarossa, Tony Tannous, Nicholas Kutnjak, Tony Salerno, David McDonald and Will Gotsis will all form an experienced line-up calling two-matches on a weekly basis. BEFORE securing a professional contract with Portugal’s Uniao de Madeira in July last season, Max Burgess was without doubt the form player of the National Premier Leagues NSW men’s competition. The attacking midfielder was scoring goals for fun and providing assists most weeks as Sydney Olympic FC charged to a top five finish. Playing professionally abroad was always the dream, so after agreeing to terms, Burgess packed his bags and prepared for his next life adventure. Football doesn’t always go according to plan, so when the former Newcastle Jets utility decided to return to Australia, Olympic was always going to be his destination. “I never entertained the thought of playing for someone else,” Burgess told Football NSW. “I rate the coaching staff very highly as well as the vision and vibe at the club. “Having my brother (Darcy) at Olympic is great, as kids we always dreamed about playing first grade together somewhere. Burgess is equally talented away from the pitch, studying a degree in political economics and social sciences at Sydney University. “It is a mouthful to say, and the content is equally as tough,” he said with a laugh. Burgess is tipping crafty midfielder Hagi Gligor to be a standout at Belmore Oval this year as well as evergreen goalkeeper Paul Henderson. “I’ve always rated Hagi and Hendo, he offers so much experience,” he said. “Riley Woodcock has also slotted in well, he is a quality player and Will Angel offers that x-factor we need. Sydney Olympic FC host Bonnyrigg in a juicy first up encounter on Sunday, March 11 from 3pm. When Bonnyrigg White Eagles club officials starting chasing Dean Bereveskos late last season, the outcome was inevitable. “Definitely playing with Ray was a huge attraction,” Bereveskos told Football NSW. “We also know each other from Futsal circles, I know what he can do on the pitch. Bereveskos’ football CV is impressive to say the least. Following his stint in Germany he then represented Wolverhampton Wanderers in the United Kingdom as a teenager. Eventually he made his way back to Sydney, turning out for a host of leading NPL NSW clubs, namely Rockdale City Suns and Sydney Olympic FC. He caught the eye playing for Hakoah Sydney City East in 2017, where he was a key player in their success away from the league, mainly the FFA Cup and winning the Waratah Cup. “I enjoyed my time at Hakoah, but like any footballer I want to win trophies and play at the highest level possible,” the student at Homebush’s Australian College of Physical Education said. “Bonnyrigg will suit how I like to play, I love to be on the ball running at players. “With Aaron Peterson back from injury and Tynan Diaz returning from the Brisbane State League, we have dangerous players all over the park. “Our assistant Milan Susak has been great and what else needs to be said about Bomber (head coach Brian Brown). Paul Smith, the President of the Sutherland Sharks, has been living in the Shire and dedicating his life to football since he first played competitively in the late 1950’s. He has served the club as a player, coach and administrator for what seems an eternity and his home away from home is Seymour Shaw Park. However, with the recent announcement the FFA is planning to expand the A- League and the strong possibility a bid from Southern Sydney may be successful, Paul Smith’s life in football may change forever. In this interview with Roger Sleeman, Smith talks about his life in Sutherland football and how he sees the future of the Sharks. RS: Where did it all begin? PS: My family emigrated from Birmingham to the Shire when I was a three-year-old and I played my junior football with Caringbah Rangers and Cronulla RSL. I graduated to youth representative ranks in the mid 60’s and played with Peter Wykes who became a long term senior captain in the State League. R.S: Describe your path to first grade and the players and coaches who were at the club. P.S: After playing in lower grades, I was selected in 1st grade by Mike Johnson in 1971 when the club was promoted to State League Division 1 and played with established stars like Alan Maher, Col Bennett, John Lavin and John McDonald. I was fortunate to captain the club to a grand final victory and played my last game in a reserve grade grand final when we defeated Blacktown City 4-1 in 1979. R.S: What were your emotions after retirement from senior football, and how did you adapt? P.S: It was bittersweet because I had experienced a few injuries and these had taken some toll on the body but I coached youth football during the 1980’s and lower grades, and in the late 1990’s joined the committee before being elected President in 2006 . R.S: The club was all ready to be promoted to the NSL in 1985 but a few issues arose which prevented this. If you had been promoted would that have changed the face of the game in the Shire? P.S. At the time, three clubs were being promoted to the NSL but politics were dominant as we heard the late Sir Arthur George, the Chairman of the ASF, wanted the other clubs and not us. However, the attempt was finally thwarted when the licenced club fell into financial difficulty due to mismanagement and the dream to play at the highest level disappeared. The great Socceroo, John Watkiss, was so disappointed that he vacated the senior coaching position at the end of that season. The club had strong support in the community and it was undoubtedly a big blow to progress for the club. R.S: As one of the largest football districts in Australia, why has Sutherland never really kicked on to greater things in senior football? P.S: The lifestyle in the Shire is more conducive to participating than spectating and although we have 18,000 juniors; surfing, league and union still have a strong following. Although, a few weeks ago, Sydney FC in the W-League attracted over 3,000 for their game at our ground which proves for the big occasion, people will support us. R.S: How is your relationship with Sutherland Junior Association? P.S: In relation to Sutherland Juniors we’re separate business entities with different business models but we do try to work together and of late there has been good co-operation to make a commitment to market the game more. Also the juniors are acquiring more qualified coaches and last year returned to representative football in the second tier which is good for the area because a lot of players were drifting to other associations to pay elite football. I believe in time, we should operate as one entity with separate committees only and work to improving facilities together. At the moment the senior club is financially stable and we’re waiting for a DA to be approved by Council to build a two-storey function room with a cafeteria and gym next to the ground, which will be a great boost to our revenue streams. R.S: What are you doing to promote senior football in the area? P.S: We use social media extensively and by offering all clubs the use of the ground for club days and trial matches, we’re hoping to create closer ties with our club. On match days we have the younger kids play before the first grade and also if clubs request senior players to assist with coaching, we make them readily available. However, we believe Sydney FC should be making a bigger contribution to visiting schools and clubs in the area. Without a doubt it would be much harder for us if we didn’t have the support of John Hills from Pipe King who has been a long-time sponsor of the club and assists in much of our promotion. R.S: Are you happy with community support of the senior club, and do you really believe that 6.30 p.m. on a cold Saturday night is a big attraction for people to attend first grade football? Especially, when all round the world the traditional first team kick-off is 3pm. P.S: We were only discussing this recently and maybe if we played at 3pm we would attract a greater following. However, it’s a matter of catering for all the youth teams in the schedule to keep them as part of the club. R.S: Couldn’t you play a few of the younger grades at another ground to accommodate for a first grade 3pm kick-off like a few clubs did last year? P.S: We could certainly consider it. R.S: How is Grant Lee contributing to the future of the club in his coaching role? P.S: Grant came to the club last season at a difficult time when the dressing shed wasn’t a happy place but he managed to unite the players. Robbie Stanton had previously created this culture and Grant has managed to recreate it. His aim is to make the semis this season and he has managed to secure the services of Nick Olsen, Nick Littler, Hayden Morton, Leo Malfara and Jacob Tratt who are all experienced players and will make a big impact on the club’s performance.  R.S: What are your thoughts about FFA’S announcement regarding the addition of two new teams in the A- League for 2019-2020? Would you like to be a part of a bid for a Southern Sydney club? P.S: Obviously, it would be great for the Shire if an A-League franchise was accepted. Last year we did have talks with the Chinese consortium represented by Craig Foster and the main question was whether the A- League team would also have an NPL team who would compete against the Sharks but also draw on our junior pool. If it does eventuate, we would be happy to be a feeder club as long as the A- League franchise worked with us to develop the game and didn’t just take advantage of our junior ranks. Also, we wouldn’t be happy if they fielded separate teams in the NPL. The Wollongong Wolves Football Club announced the signing of Japanese J-League star, Takuya Nozawa. Nozawa has agreed to terms and will be joining the club immediately for all its 2018 football commitments. The attacking midfielder has been one of the J-League’s most successful and popular players for well over a decade of top flight football and boasts an amazing resume which includes, 5 J-League titles, Emperor’s Cup success on 2 occasions, 3-time J-League Cup winner, Japanese Super Cup champion, and a Suruga Cup Championship. Wollongong Wolves First Grade Coach Jacob Timpano was understandably full of excitement at Nozawa’s addition to his squad for 2018. “We have already assembled a very strong and competitive team for this season and now with Takuya’s addition we have a player who has been there and done that, consistently at the highest level. “He is going to give us a host of additional options and firepower as a group. Nozawa has played over 380 games in the J-League and more than 500 matches in total across his illustrious career in Japan in all competitions. He sits on 99 careers goals and has been responsible for setting up and assisting many, many more. An ex-team mate of Wolves striker Yuzo Tashiro at Kashima Antlers, Nozawa was in high demand from a range of clubs but decided to continue his career at the Wollongong Wolves. Wolves striker Tashiro was very pleased in being able to reunite with his ex-team mate – this time in Wolves colours. “I am very close to Takuya and told him what a great club the Wolves are and what a fantastic city Wollongong is, filled with beautiful people. “We talked about Wollongong quite a lot in the off season and it is great to actually have him here now and agree to play with us this year. “After playing with the Wolves last season, I am much more comfortable and settled now and confident I will have an even stronger year this season. “Having Takuya on the field now makes me even more confident. He knows my game and I know his game. Timpano now has completed the full signings for his 2018 team and is looking forward to the commencement of the NPL NSW Men’s Competition with the Wolves starting their hunt for the title on Sunday March 11th at the Wolf Den, WIN Stadium against Blacktown City FC. “We’ve assembled a squad of mainly local Illawarra and South Coast born, bred and developed talent, sprinkled with a couple of quality, young and hungry players looking to make their mark. Add this to proven professionals such as Nick Montgomery, Yuzo Tashiro and now Takuya Nozawa, this is the best squad the Wolves have put together in a long, long, long time. Wollongong Wolves CEO, Chris Papakosmas highlighted the signing as a harbinger of things to come “Being in a position where we can now not only attract the interest of players such as Nozawa but get them to actually agree and sign for the Wolves shows just how far our club has progressed in 12 months. “Our chairman and the new board have done an outstanding job in revitalising and reinvigorating our great club and engaging our entire region. “We are in a position now where we will make our mark in the NPL and continue to build an undeniable presence to be the first club in line for A-League and W-League expansion.